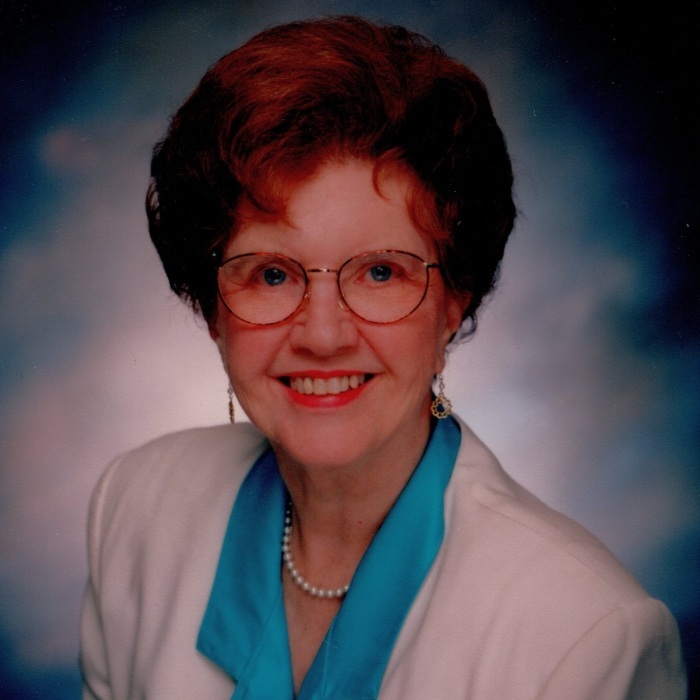 LAVALE —Former Delegate Betty Gowland Workman, 93, died Tuesday, May 1, 2018 at Country House. Born September 26, 1924 in Cumberland, she was the daughter of Frederick Gowland and Lillian Fitton Gowland.. She attended the LaVale Methodist Church. Mrs.Workman was preceded in death by her husband Donald Workman, her sister Lillian Hast and her brother Alfred Gowland.She is survived by brother-in-law Glenn’s wife Joan Workman, two children, Terry and wife Paula of LaVale, Brenda Workman Hetrick and husband Larry of Mount Airy; six grandchildren, Terence Christopher Workman, Jeff Workman Miller, Adrienne Workman Miller, Charity Taylor, Rachael Taylor and Billi Jo Swauger; and three great-grandchildren Colten Workman Miller, Morgen Workman Miller and Austin Campbell. A 1942 graduate of Fort Hill High School, she attended Frostburg State College, B.S. ; West Virginia University, M.A.Mrs. Workman was a former mathematics teacher at Allegany High School, Cumberland.She was elected to the House of Delegates, Legislative District 1B (D), Allegany County, 1987-99 Workman was a Delegate to the Democratic Party National Convention in 1984. She was a member of the Allegany County Democratic Central Committee, 8 years, the Allegany County Democratic Club, Past president, 4th District Women's Democratic Club. Member, Allegany County Arts Council; Allegany County Retired Teachers Association; Maryland Retired Teachers Association. Member, Business and Professional Women; League of Women Voters; LaVale Century Club; Cumberland Rotary Club; Allegany County Historical Society; Residents' Rights Committee, Thomas B. Finan Hospital Center, Board of Directors, Potomac Council, Boy Scouts of America; Cumberland Theatre and Western Maryland Area Health Education Center. When the legislature was not in session she and her secretary Delores Turner worked daily out of an office in her home, meeting with constituents to resolve their problems with state agencies, insurance companies and answering requests for help. Friends will be received at the Sowers Funeral Home on Friday 2 to 4 and 7 to 9 p.m. Funeral services will be conducted at the funeral home on Saturday, May 5, 2018 at 11 a.m. with the Rev.Frankie Revell officiating. Interment will be in the Workman family plot at Frostburg Memorial Park.